As a volunteer of the India Against Corruption movement, Arvind Kejriwal held a demonstration against the coal scam at the house of then Prime Minister Manmohan Singh in 2012. New Delhi: A Delhi court has discharged Chief Minister Arvind Kejriwal in a case of alleged rioting in front of the prime minister's house in 2012, noting that the protest march was peaceful and a citizen has a 'fundamental right' to assemble peacefully without arms and exercise his or her right of speech and expression. Additional Chief Metropolitan Magistrate Samar Vishal granted the relief to Mr Kejriwal and others after finding that the police order to impose orders restricting large gatherings which was intended to protect public order, was without assigning any reason and the reasons disclosed later did not show any situation of emergency which warrants its imposition. "It is not the case of the prosecution that the citizens sought to be prosecuted were having arms or that they have any criminal intent in their assembly. It's also not the case of the prosecution that there was any general problem of traffic or that any inconvenience was caused to the other users of the road. "Whatever commotion happened there was due to the use of the force by the police and in consequent retaliation by the protesters," it said. The court said that while "the citizens had the fundamental rights to assemble peacefully without arms and to exercise their right of speech and expression", the public authorities too had a "right to maintain law and order". "Since the assembly in this case was not an unlawful assembly and has not committed any offence, I have no doubt in my mind to opt for upholding the fundamental rights of citizens under Article 19 of the constitution and finding that neither the prohibition of section 144 CrPC was valid nor validly communicated," the court said. According to the prosecution, on August 26, 2012, the volunteers of India Against Corruption held a demonstration against coal scam at the house of then Prime Minister Manmohan Singh and to stop them, water cannons were used due to which the volunteers became violent. Thereafter, police fired several round of tear gas and used to driving them off after that, certain mischievous elements attacked the police with the flag sticks. The barricade was damaged along with certain plants, the police said. 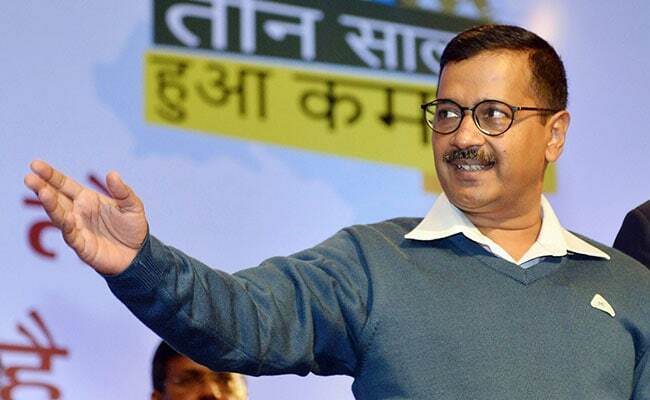 An FIR was filed by the police against Mr Kejriwal, Banwari Lal Sharma, Dalbir Singh, Mukesh Kumar, Mohan Singh, Balbir Singh, Jagmohan Gupta, Azad Kasana, Harish Singh Rawat and Anand Singh Bisht.